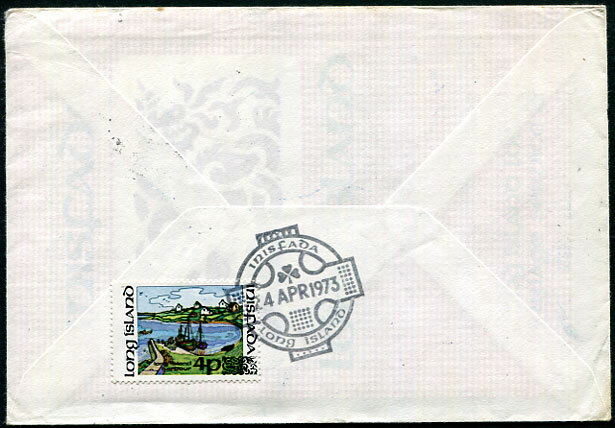 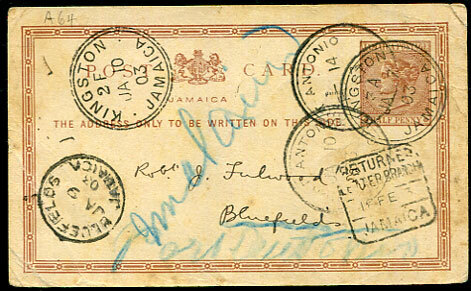 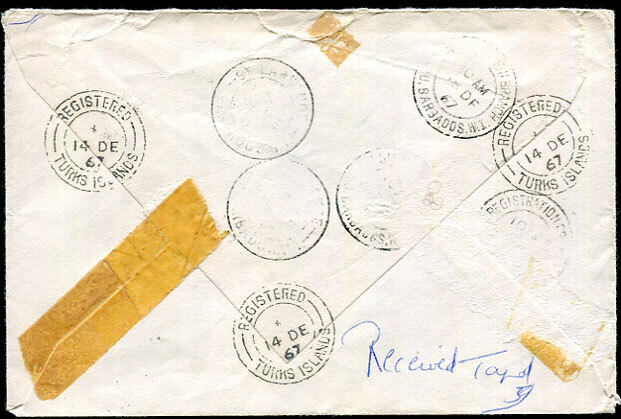 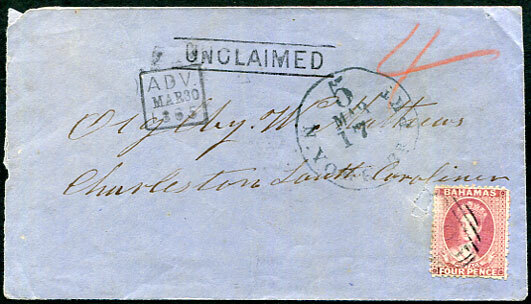 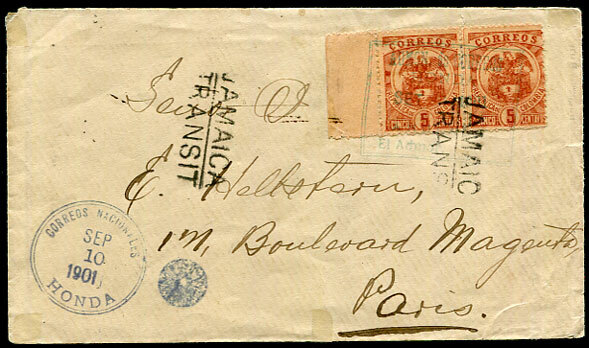 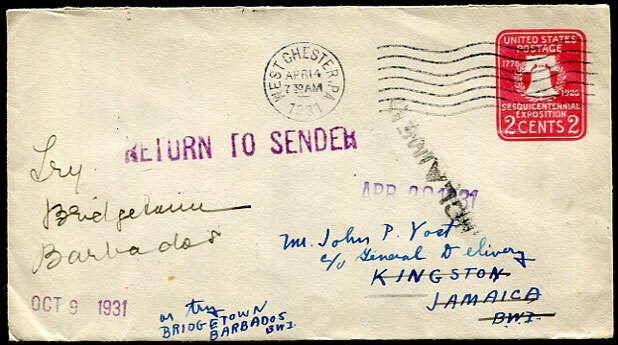 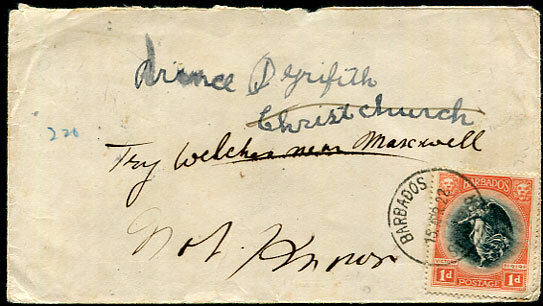 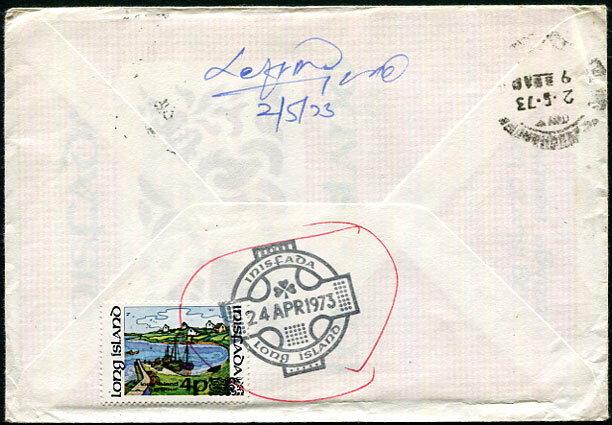 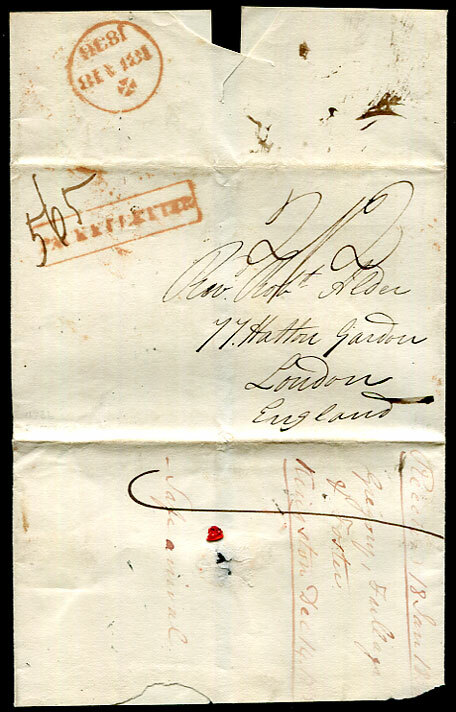 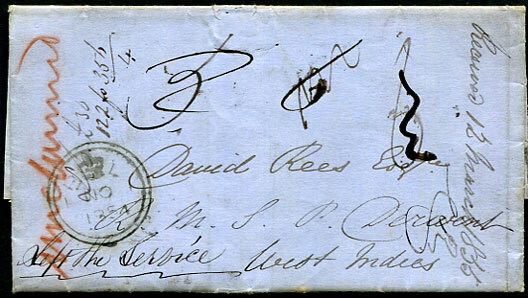 1835 outer wrapper docketted "Kingstown Dec 14 1835" to London rated 2/2, carried "loose" so on arrival JA 18 1836 matching red ink cds and boxed "PACKET LETTER" added to confirm type of entry. 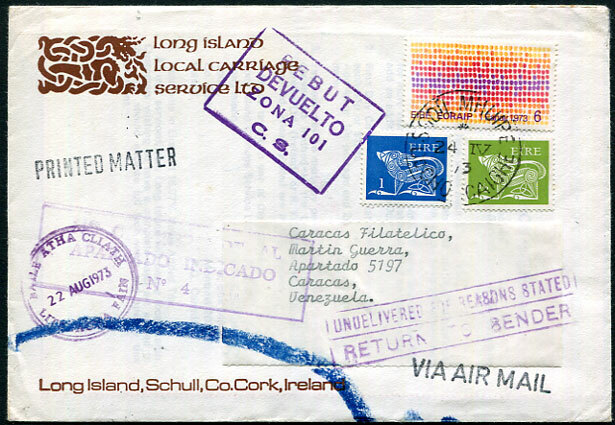 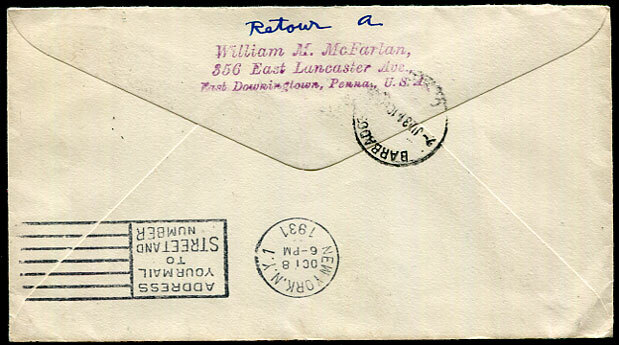 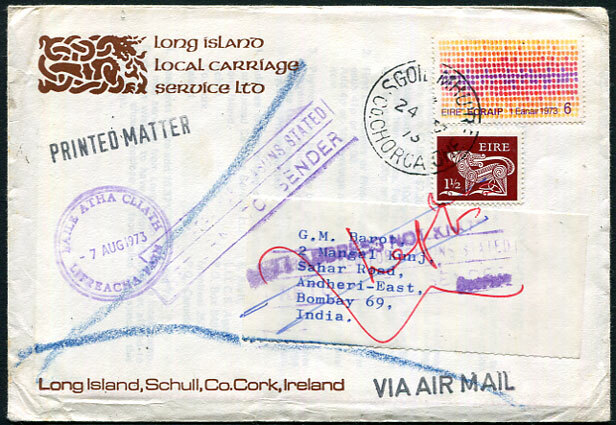 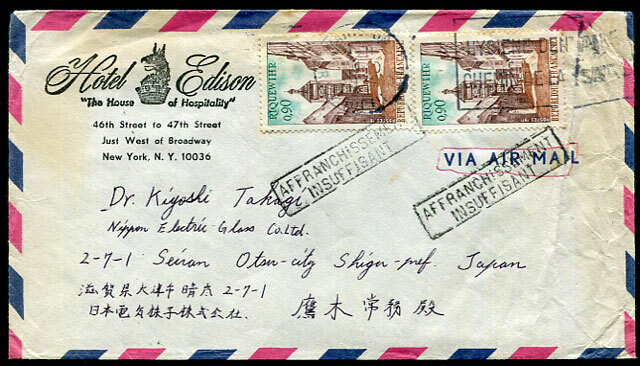 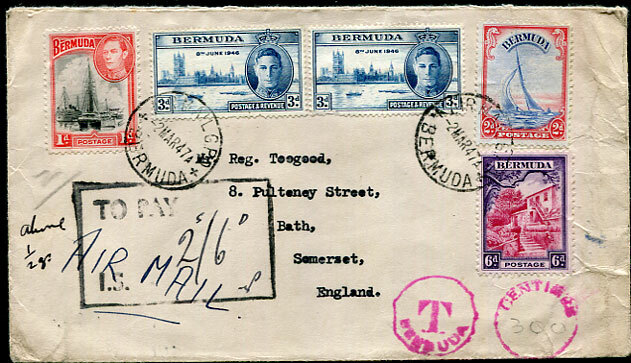 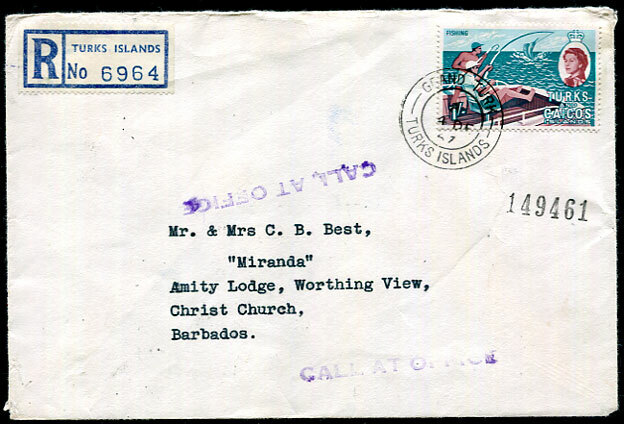 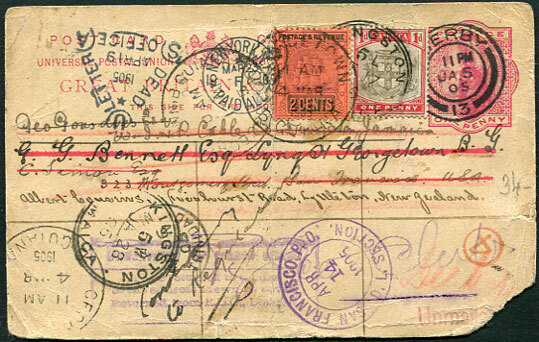 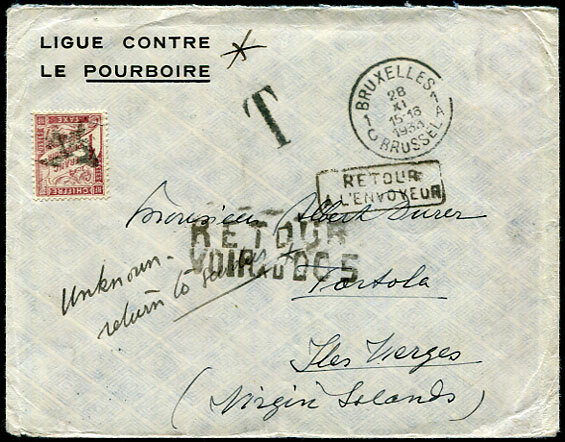 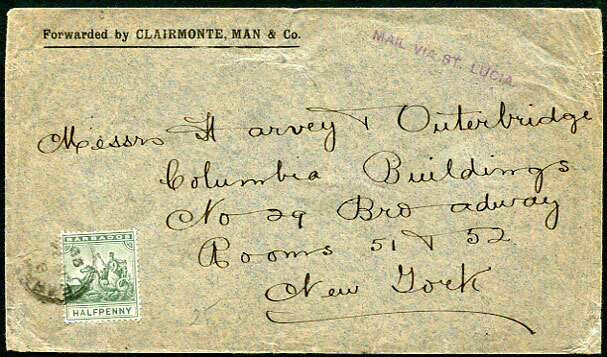 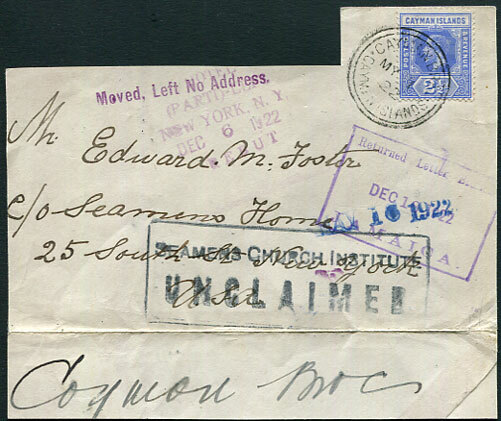 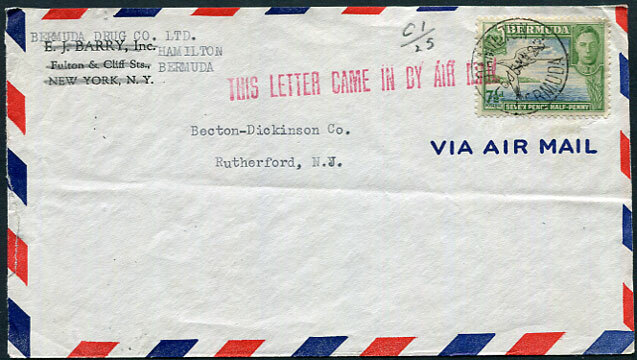 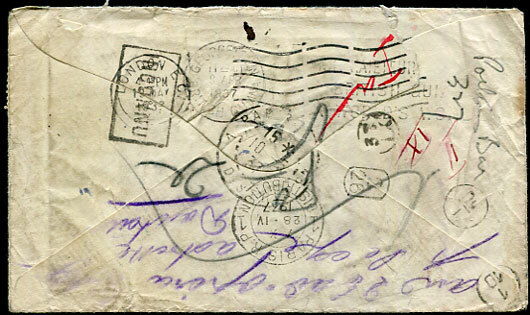 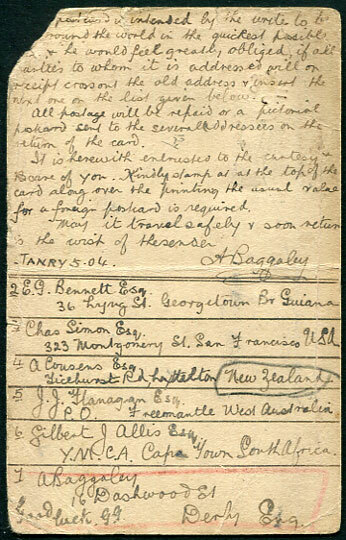 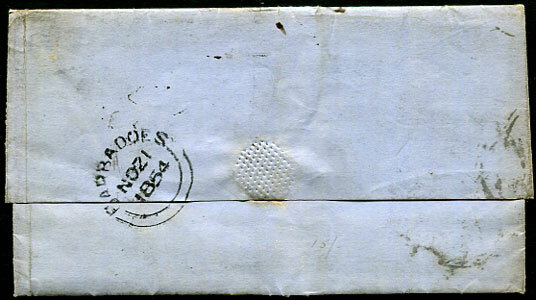 1899 unsealed rate cover with handstruck purple "MAIL VIA ST. 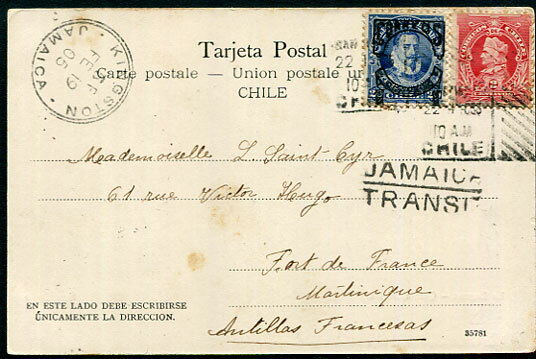 LUCIA." 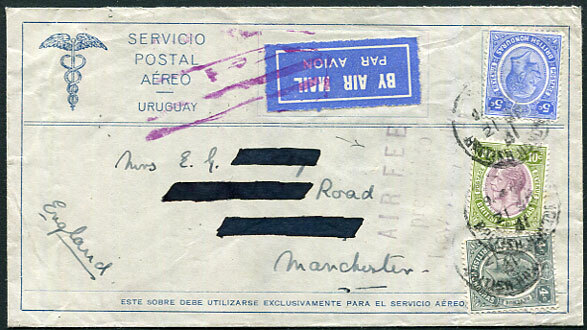 to New York with ½d Seal pmk'd B/JY 24 99. 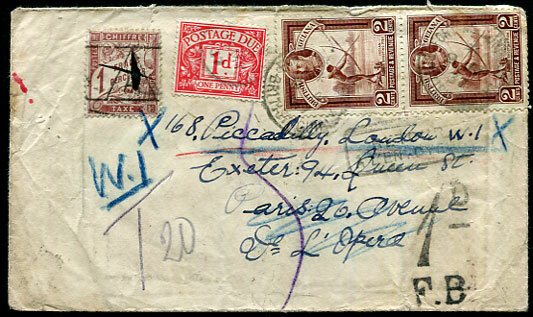 1922 local cover to Christchurch with 1d Victory pmk'd 15 APR 22 with manuscript "Try Welches near Maxwell" and "Not Known", reverse CHRIST CHURCH 15 APR 22 and 19 APR 22 cds.